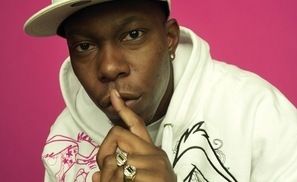 Hey soapsters, have you heard the latest news about rapper Dizzee Rascal? The word on the street is that he wants to appear in EastEnders. The grime artist told The Sun that he’s a huge fan of the soap and always catches up on what’s happening in Albert Square when he’s been away touring. Dizzee said: "EastEnders means a lot to me, because I’m from the East End, I could see myself on EastEnders one day – they just need to offer me a role and I’m there." He added: "I watch whenever I can fit it in. It’s best when I hear my music in the show’s cafe, that gives me a buzz. "I’ve thought about acting a couple of times. It is something I want to break into soon. It would be a natural progression." Wow imagine that… a rapper appearing on EastEnders; that’s got to be a first, hasn’t it? Anyway, I reckon Dizzee Rascal would do really well on the show. I just wonder what kind of role the producers would have him play if he were to appear? Maybe he could play the long lost brother of the ‘iconic’ EastEnders character Gus Smith (remember him?) played by actor Mohammed George. Man… I really miss Gus, but I think that Dizzy would be a perfect replacement. Only thing though, is that he’d have to improve his rhyming skills in order to ‘spit joints’ (street term for rhyme) anywhere near as good as Smith. Here’s a reminder of Gus Smith’s dangerous lyrical flows (technically, Mohammed George’s flows but you get me). That’s it for me, I’m out of here. Join me on Friday for the result of the caption competition. Got a comment about your favourite soap, this blog or anything else? Share it with me. Why not?the programme is getting so silly, so unbelieveable – who else wants to appear? Maggie Thatcher? Peter Mandelson? a hologram of Michael Jackson?